Cooking Up Slop with Mo Willems — YUMMM! Best cooking demo ever! We are big fans of Elephant & Piggie books. Can’t wait to see what Mo cooks up for the next adventure. Rich Letchinger has joined WORZALLA as Vice President Sales & Marketing. Rich has 31 years of experience in printing, and has focused on sales throughout his career, the past 18 years in sales management. He has a strong interest in journalism, following that path through high school and college. Early in his career he was a journalist in Chicago. Rich has been keeping busy traveling the country to meet our customers and get to know everyone and their unique needs and expectations. 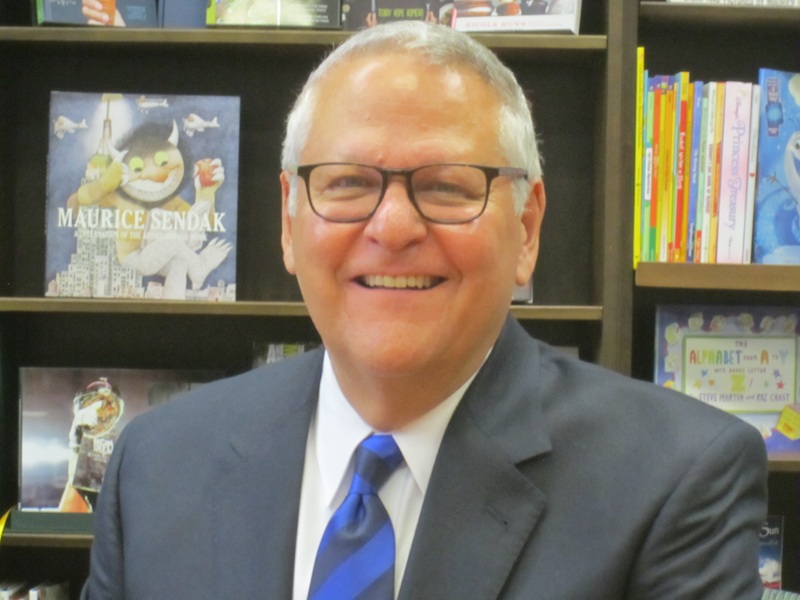 His immediate goals are to work with our outstanding sales team and the customers we have today, and to refine our offering to better meet the evolving needs of the book market. WORZALLA joins Harpercollins Publishers and many iconic children’s book characters and their illustrators as they celebrate the 60th anniversary of the beloved children’s book, Harold and the Purple Crayon. 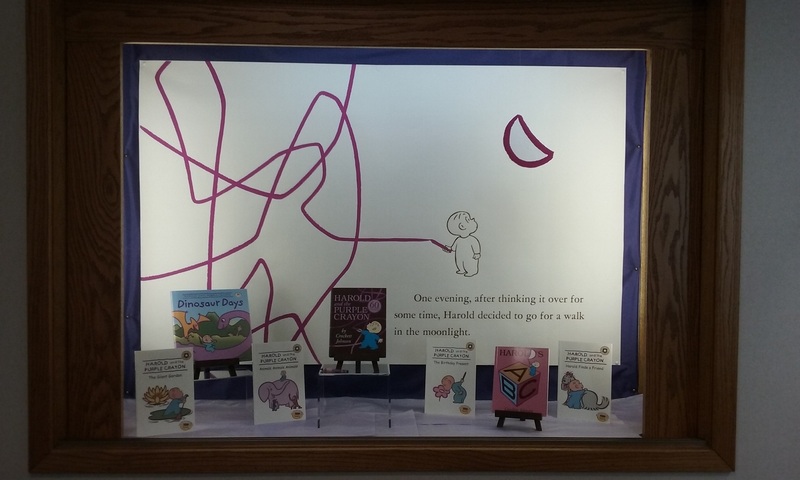 To honor the occasion we have a display in our lobby showcasing the 60th Anniversary Edition as well as several other Harold titles manufactured at WORZALLA. Harold and the Purple Crayon was written and illustrated by Crockett Johnson, and published by Harper in 1955. WORZALLA has been manufacturing Harold and the Purple Crayon at least as far back as 1995. We have also had the honor of manufacturing several other titles starring this amazing little artist and his magical crayon worlds. Follow this link to the Harper site to see Harold’s birthday tributes from Fancy Nancy, Pete the Cat, Lilly (who loves purple), Biscuit, and many more beloved characters — http://www.harpercollins.com/childrens/harold. You can join in on the festivities by illustrating your own birthday greeting.